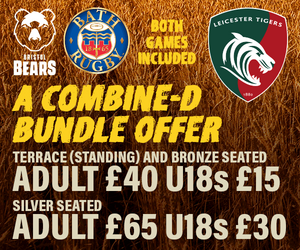 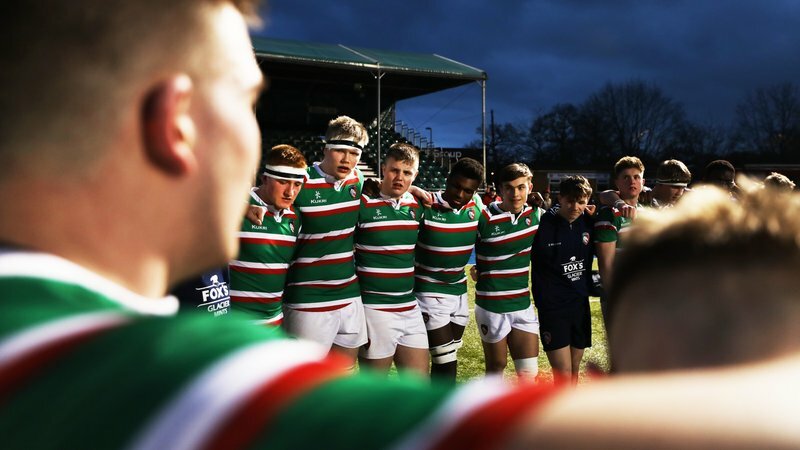 Market Harborough Rugby Club’s Under-16s followed up a weekend County Cup win with an appearance in front of an 18,000-strong crowd at the home of the Leicester Tigers. 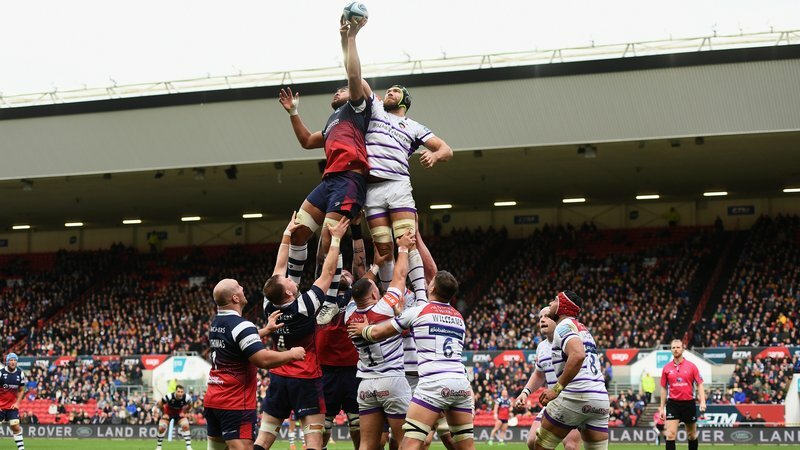 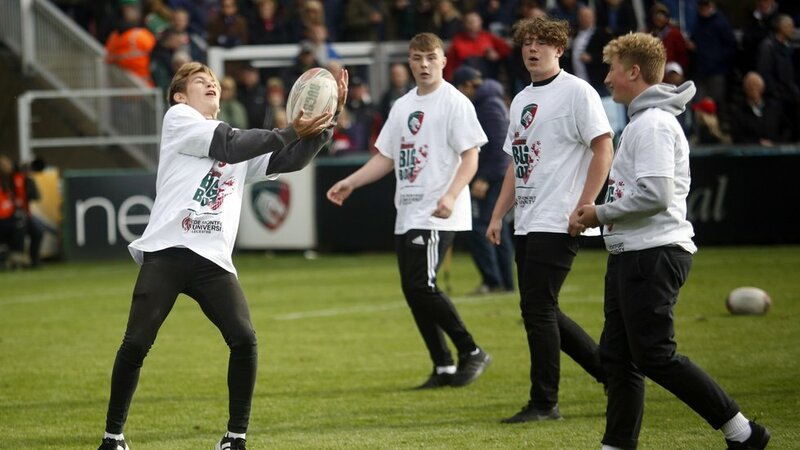 The Harborough group took part in The Ultimate Big Boot, testing their catching skills on the Welford Road pitch as part of the half-time entertainment during the Tigers match against Worcester Warriors in Round 4 of the Gallagher Premiership season. 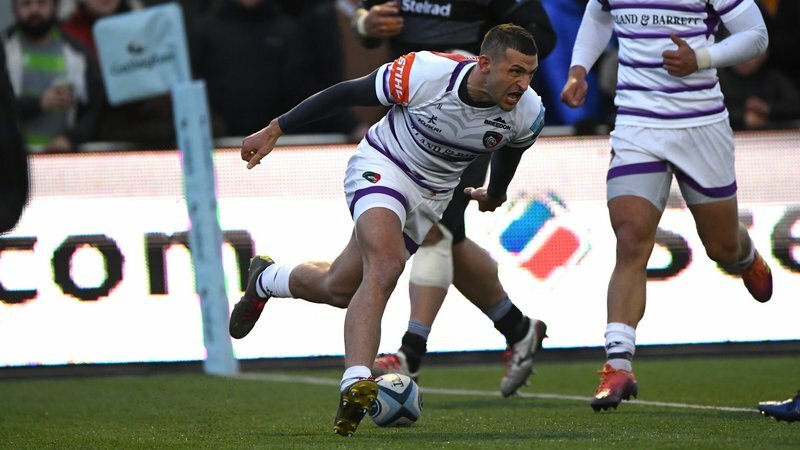 The head-to-head honours on the day went to Tom Parfett’s group who made five catches and take their place on top of the early-season leaderboard, two ahead of Harborough and 3Excel Aviation who won their head to head with Coalville RFC at the opening home game of the season.